EB Horsman Product Profile: Versatility and Style with Dainolite Step Lights In Stock Now! Versatility and Style with Dainolite Step Lights In Stock Now! 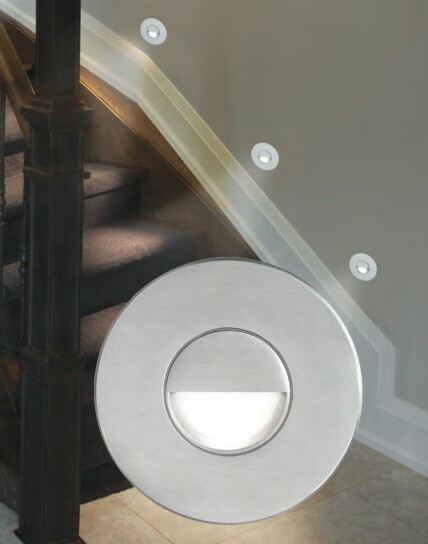 Bella Louvre Wall Wash LED Step / Wall Light; Dimmable; Indoor / Outdoor Wall Mount; Ideal for Retrofit; Fits in a 2" x 4" box or Retrofit Box; Integral 120V Driver; Die Cast Aluminum Body; 40,000hr; Available Colours: Brushed Aluminum, Bronze, Black and White; Available Styles: Scoop, Louvre, Flat Glass; Adjusts to Horizontal / Vertical Mt. Laila Series Half Moon LED Step / Wall Light; Dimmable; Indoor / Outdoor Wall Mount; Ideal for Retrofit; Integral 120V Driver; Die Cast Aluminum Body; Polycarbonate White Lens; Available Colours: Brushed Aluminum, Bronze, Black and White; Available Styles: Scoop, Louvre, Flat Glass; 40,000hr Rated; Adjusts to Horizontal / Vertical Mt.